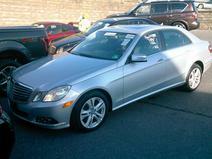 Airport Services: We offer Sedan, SUV, Van, Executive Coach, and Limousine service to all Airports. All services are personal services, meaning we do not combine your trip with anyone else. We even include the daily paper and a light snack. If you want a morning cup of coffee or tea, ALL Airport Services before 09:00 have coffee services included. We also include small packaged snacks, water, and a local paper for you. And we do not believe in waiting until the last minute to arrive and then rushing to catch your plane. We will be there when we say we will, if not just a bit earlier. Proms: We love Proms! It is such a happy day and we do everything we can to help make that day special. We offer Limousines to accommodate 6-10 passengers, SUV Limousines for 14 to 20 passengers, our 28 Passenger Trolley and Sedans. 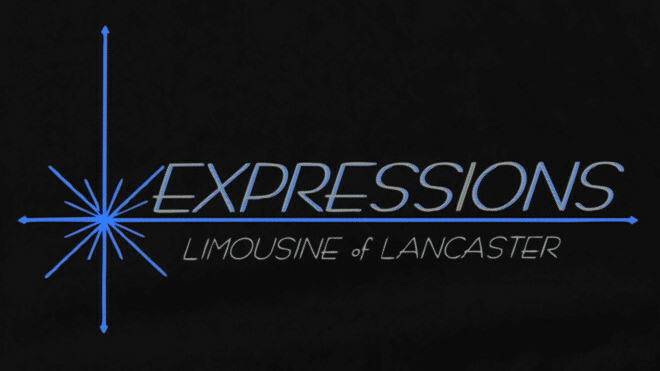 All of our Limousines are stocked with sodas, water, and snacks. We even match the napkins to your school colors. 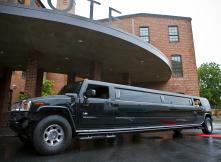 When renting a Prom Package, your driver will always be right outside, in case you need them. Concert Packages - Includes travel time to and from the concert and three hours of waiting time. 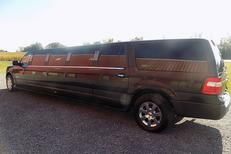 All of our Limousines are stocked with sodas, water, and snacks. When renting a Concert Package, your driver will always be right outside, in case you need them. Newborn Packages - Take your new child home in style. After all, it's the perfect way to begin spoiling them right from the start and treat their mother with the attention she deserves. All of our Limousines are stocked with sodas, water, snacks, and a special gift for your newest addition. Our Limousines do have seat belts so you can secure your car seat properly. 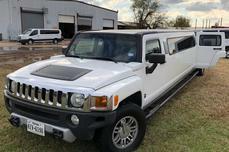 Hourly Rentals - Any special occasion deserves a limousine. Our Hourly Rentals can handle whatever you may have envisioned. Be it a Birthday Party, a sweet sixteen, a bachelor(ette) party, or a trip out for pizza, we can accommodate your needs. We offer Limousines to accommodate 6-10 passengers, SUV Limousines for 14 to 20 passengers, a 28 Passenger Trolley, Vans or Mini Coaches and Sedans. All of our Limousines are stocked with sodas, water, and snacks. There are minimums for hourly rentals, ask when making your reservation. We do not charge travel time for local pick ups. We do not charge you extra because you need to go somewhere in the middle of the night. We do not charge extra for holiday service. We do, however, ask that all reservations be made as far in advance as possible since everything we do is based on availability. Over the past ten years, we've come across many people in businesses that compliment well with what we do. Although we cannot promise that any of these are perfect for your needs, they have always been kind to us. This is just the beginning of the list of some of our friends in business. I'm quite sure I have missed many of them. If you are looking for a recommendation for your particular need, feel free to call us and ask. After all, you don't get to be voted number one without meeting people who are on our list of number ones in their field too.